Sorry, RUFFLED PETTICOAT NOT INCLUDED! One dress that comes in all sizes and can be wrapped into unlimited styles! 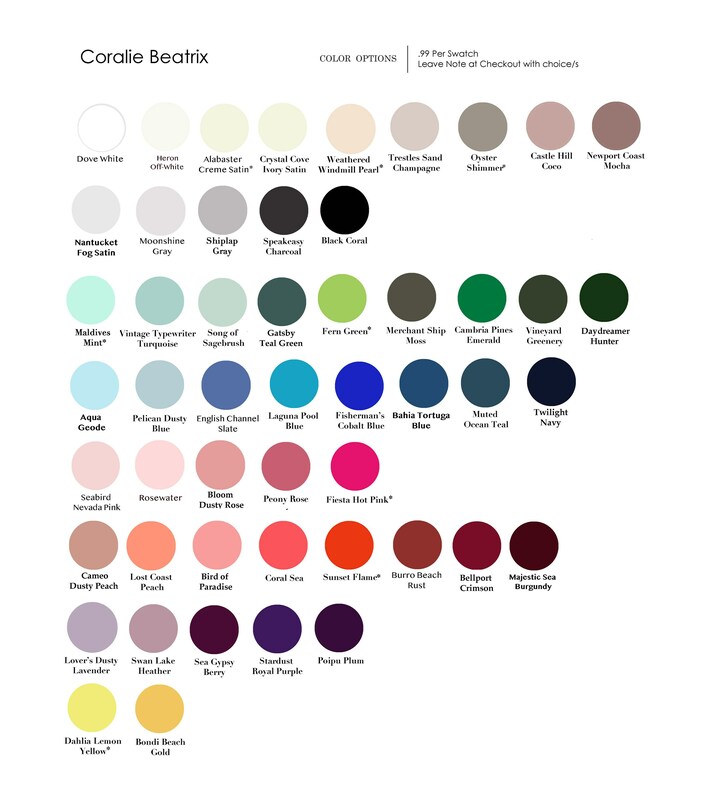 Custom choose from my different lengths and sizes to create your perfect dress made just for you! 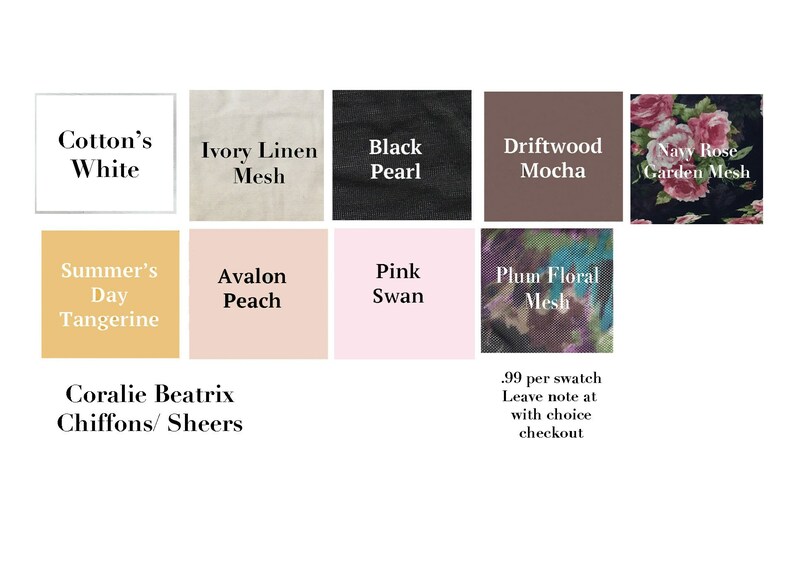 **Shown is the Avalon Peach which is a soft, romantic, and sheer stretch chiffon- like fabric that is perfectly paired over the soft and luxurious Dove White solid fabric. 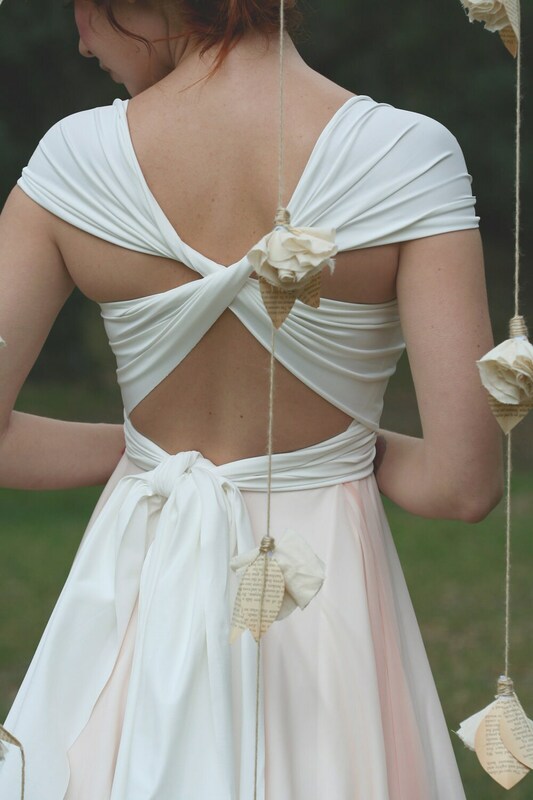 1st photo is from actual bridal party wearing this dress!